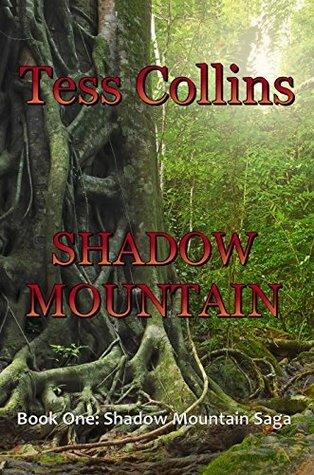 At the peak of Shadow Mountain lives a woman who holds to the old ways of magic and conjuring. Delta Wade protects ancient mysteries for her son, Lafette, hoping he will grow up to wield those powers for the good of humankind. But the epoch of witch lore is giving way to an age of industrial titans greedy to control the mountains’ resources for material gain. As one man seeks to destroy Delta, another offers his love as salvation. Mother and son struggle with an enigmatic past only to find that true magic shows its power in its own way and in its own time. Shadow Mountain is an intense (yes intense!!!) book about a mother trying to hold on to a legacy of magic and mystery for her young son while waiting for his father, her common-law husband, to come back. I say intense because Delta has stuff coming at her from all different directions and she is coping the best she can. Also, this book is set in 1899. A time where women and ex-slaves had zero rights and their lands/possessions could be taken from them just for being who they are and what color they are. What I liked about this book is how vividly it was written. I could almost hear the bullfrogs croaking, smell the woods and see the Tyme trees standing on the mountain. Books that can do that are hard to find. I love it when I am able to read a book and get sucked in by the story. These are the kinds of books that stay with you. The storyline (which I briefly mentioned above) was well written too. I really felt for Delta. She was being pulled in so many directions by so many people that she was forced to do what she did. I mean, she had King, Henry, and Kate all telling her what to do. What she did, ultimately, was for the good of her son, Lafette. It was something that I would think that any mother in her circumstances would do. I will say that the twists right before the end of the 1st part of the story kinda shocked me. Only because I didn’t see them coming and they happened almost right on top of each other. Shocked the ever-living out of me. King was a jerk. He was so slimy that I felt like taking a shower after reading his scenes. He was an abusive, manipulative man who got what he deserved….in my opinion. It’s just too bad that his behavior (and his greed, let’s not forget that) cost people their lives. Now, Henry, I was kinda on the fence about. He let his father push him around and to be honest, I thought he didn’t have the stones to stand up to him. So, I was very surprised when he did. He ended up being probably one of the best characters in the book. The second half of the book takes place 8 years after everything went down on Shadow Mountain. I really don’t want to get into this part of the book (because it will give things away). Let’s just say that the events that happened during this part of the book surprised me. I actually didn’t see certain events coming and I was definitely floored. And the end of the book. Oh my, it was a tear jerker for sure!!! I cannot wait for book 2 to come out!! Why: A well written, intense book that definitely sucked me into it. Like I said above, it was very vividly written and it just stays with you after you are done reading it. Why: I was kinda on the fence with this and chose older teen. There really isn’t anything bad in this book. Maybe some mild violence but that’s it. I would feel safe in saying that anyone 16+ could read it.